When organisations face the need to create better oversight of their business processes, they implement a RACI Matrix. A RACI Matrix is important for organisations that wish to prevent process failure, identify accountability and responsibility and organise processes so that nothing is overlooked. In this article, I lay out what a RACI Matrix is, why having a RACI Matrix template so important to a business improvement plan and why you need more than just a RACI process to solve business efficiency problems. Creating a RACI Matrix is usually one of the key first steps to implementing a continuous improvement project within an organisation. It gives a structure to any change initiative by identifying the key stakeholders in a project so they can capture, share, use and improve the organisations business processes effectively. What their role is in the process - Responsible? Accountable? Consulted? Informed? Informed - the person that needs to be kept in the loop of any decision or action relating to the process. Why is a RACI Matrix Template Important? A RACI Matrix template is important because it holds people accountable for processes and ensures that all those that should be involved with a process decision are properly involved in the RACI process. Most notably, a RACI Matrix is important for process improvement projects so that process roles can be assigned, process changes can be properly communicated and those who are communicated to are necessary to the process conversation. Identifying all the key stakeholders involved within a RACI process is a huge advantage because it makes it easy to capture an accurate map of the current process and implement a successful continuous process improvement project. Get new employees up to speed quickly by ensuring that when your processes have been captured and assigned to the appropriate job title, the incoming employee can pick up where the outgoing employee left off. RACI and Six Sigma work well together because the Six Sigma methodology of DMAIC (Define-Measure-Analyse-Improve-Control) works best when process roles are identified and carried out to ensure improvement. If DMAIC is the approach you are using to improve your organisation, then RACI is how you ensure that methodology is implemented and applied correctly by your employees. Who is responsible for seeing that any change is implemented and controlled correctly. The RACI Six Sigma approach (RACI and DMAIC) provides the method for successfully engaging continuous improvement and implementing both, as a one-two punch, will tighten up your organisation's processes and ensure that your entire team is organised and structured as effectively as possible. You now have a method of ensuring continuous process improvement, but you still need a platform to ensure that your DMAIC and your RACI are captured in the correct format and structured in a way that it is useful and useable to all the stakeholders. This is where Business Process Management software comes in and why it is so important for companies with many business processes. 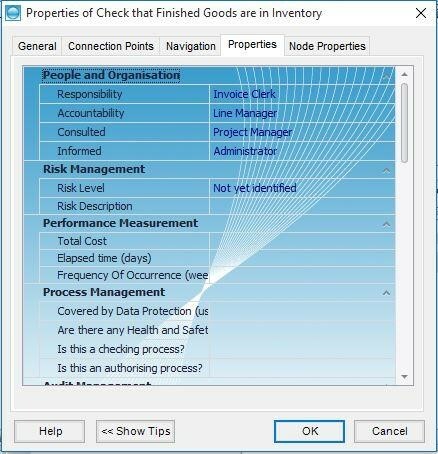 A RACI tool can be used to run a full RACI analysis report to display job roles and responsibilities. 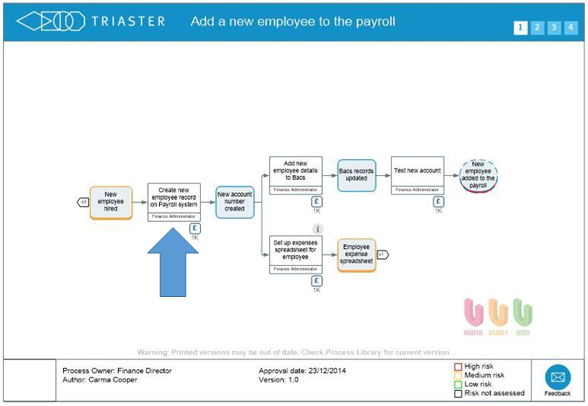 This can take your business process maps to the next level and make them so much more useful, useable and used. 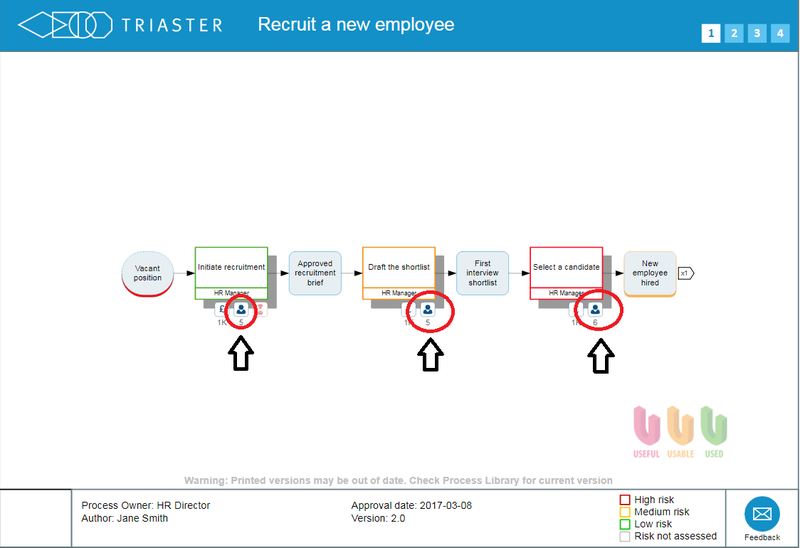 In order to show you how RACI is visualised within a BPM system, I am using the Triaster Platform to demonstrate how much easier a RACI Matrix template can be utilised and controlled within a BPMS. It is best practice to record Responsibility, Accountability, Consulted and Informed on all of the business Activities. Some of the customers I deal with dilute this slightly, as obtaining all of this data initially can be hard work - so they decide to record Responsibility and Accountability only to start with (but consulted and informed are still very necessary for your DMAIC process. If you would like to take your own tour through our interactive process library and try these tools out for yourself, then please go to the interactive process library page. The rest of the RACI data is recorded behind Activities in Properties, this is accessed by right clicking the Activity and clicking Properties. The Properties can also be updated in bulk using Microsoft Excel. 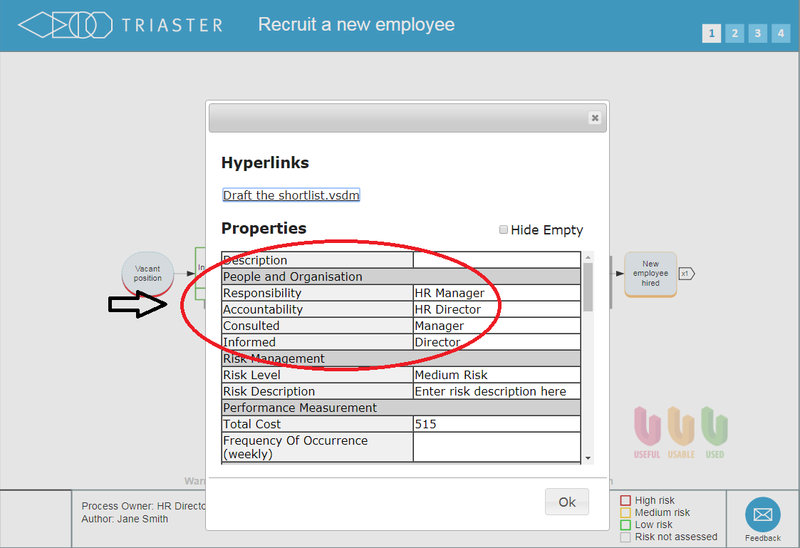 Recording the RACI Matrix behind Activities enables RACI searching and RACI reporting capabilities within the Triaster BPM system. BPM can also help to identify all the RACI process data for a specific role. By choosing a role, such as HR Manager, you can display all the Activities that specific job role is Responsible for, Accountable for, could be Consulted on or needs to be Informed about. You can also view a full RACI Matrix for the whole organisation by running the RACI Analysis report. 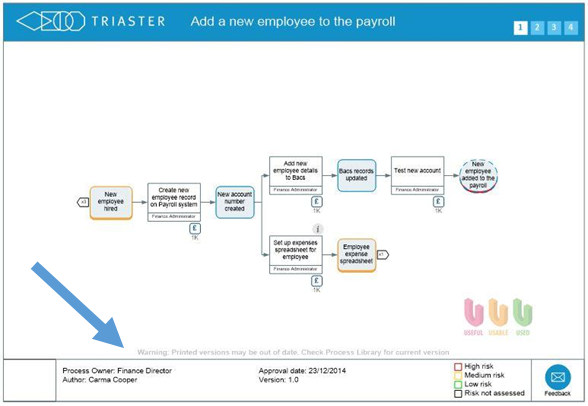 It will display every Activity within the Triaster BPM system along with its RACI process data. This can also be exported to Excel to further interrogate and manipulate. I would also recommend using job roles rather than recording the employee's name in the RACI Matrix so that when people move outside of the organisation, you won't have to update the information. 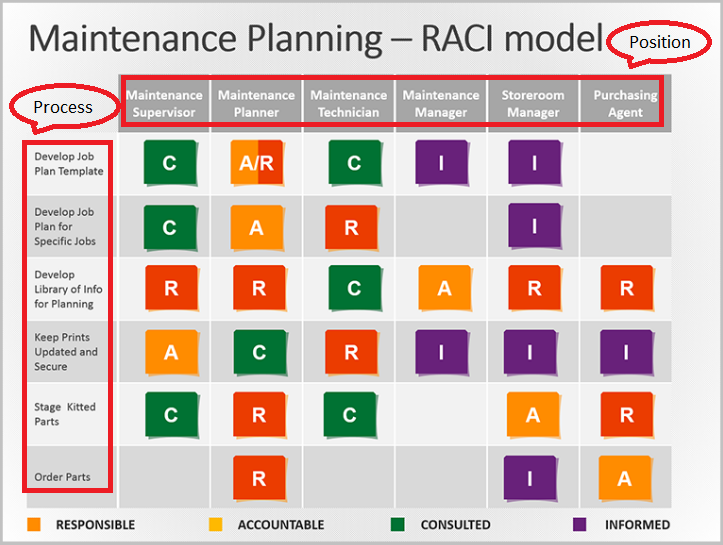 A RACI Matrix can be a great tool to use, but used on its own, it has limitations. Business Process Management projects are best served with a complimentary improvement methodology like Six Sigma and a BPM system. There are many systems out there, some cheaper than others, but the important thing is to find out exactly what your business need is before you attempt to solve your problem. If you need help in identifying your specific business problem and how to solve it, try filling out the which will allow us to understand your problem better and email you the right information to solve your specific process problem.